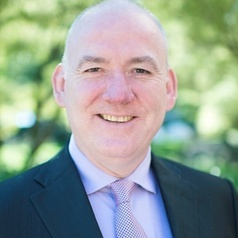 Professor Alan Duncan was appointed the Bankwest Chair in Economic Policy and Director of the Bankwest Curtin Economics Centre at Curtin University in April 2013. Prior to taking on this role, Alan was Director of the National Centre for Social and Economic Modelling (NATSEM) and before that, Head of School at the Nottingham School of Economics, University of Nottingham. Alan completed his PhD in Economics at the University of York, and has served on a number of senior advisory panels and boards for government and public sector organisations in the UK, Europe and Australia, advising on areas including tax policy, pensions, labour markets and household welfare. Alan’s research interests cover policy evaluation, childcare affordability, employment incentives, population dynamics, labour markets, welfare program participation, poverty and wellbeing. He was awarded the prestigious Frisch Medal of the Econometric Society in 2000 for the best paper to be published in the world-leading journal, Econometrica.